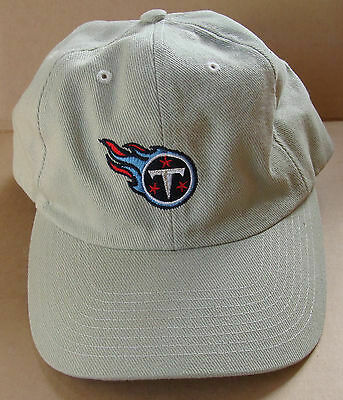 This is a New Without Tags Tennessee Titans Hat Cap Football , NFL. One size fits most. All designs are embroidered stitched. It has a Velcro back strap adjustment for a good fit. It has been stored since it was purchased. Some of the hats I have are a little dusty from storage & some have been kept in bage. Use a soft brush or damp cloth to remove any light dust or put them in the washing machine if washable for a used or softer hat. Follow cleaning, washing instructions if their are any. This hat is new without tags. EVERYTHING THAT I SELL IS DESCRIBED TO THE BEST OF MY KNOWLEDGE.